There is a relatively new description starting to make it way into kitchen countertop discussions. We all know about natural stones (Marble, Granite and Onyx) and Engineered quartz stone (Caesarstone being a brand leader). New to the vocabulary is Sintered Stone! What is Sintered Stone and what new or different features does it offer? Sintered Stone is manufactured using recent technological advancements, which mimic the processes which form natural stone. While natural stones like marble and granite are formed over thousands of years. Sintered stone slabs take just a few hours. 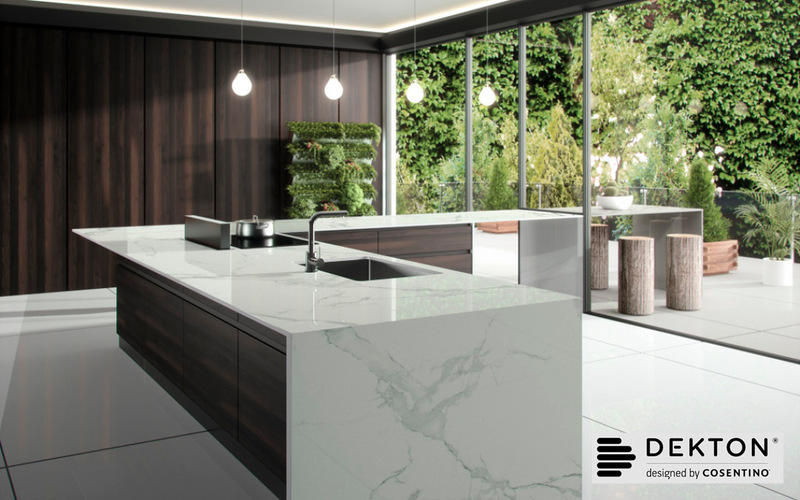 Minerals and stone particles like the ones found in porcelain or granite are carefully selected for quality, colour and texture. These particles are then subject to extreme heat and pressure – just like they would be deep in the earth’s crust where granite is formed. When the process is finished, the particles are bonded together permanently, without the need for resins or bonding agents. To the untrained eye, some of the colours of Sintered stone look exactly like natural stone and thanks to technology, the options are endless in terms of patterning and colours. 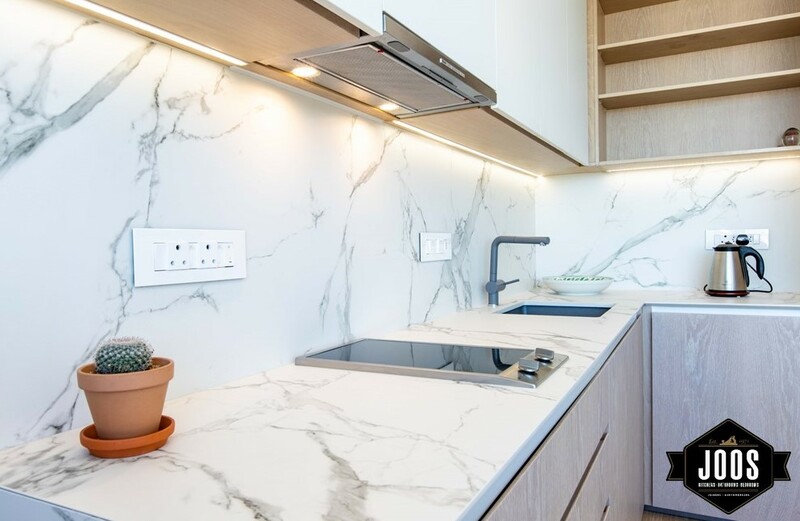 Due to the strength of Sintered stone the product generally also comes in thicknesses that cannot be matched by either real stone or other engineered stones. 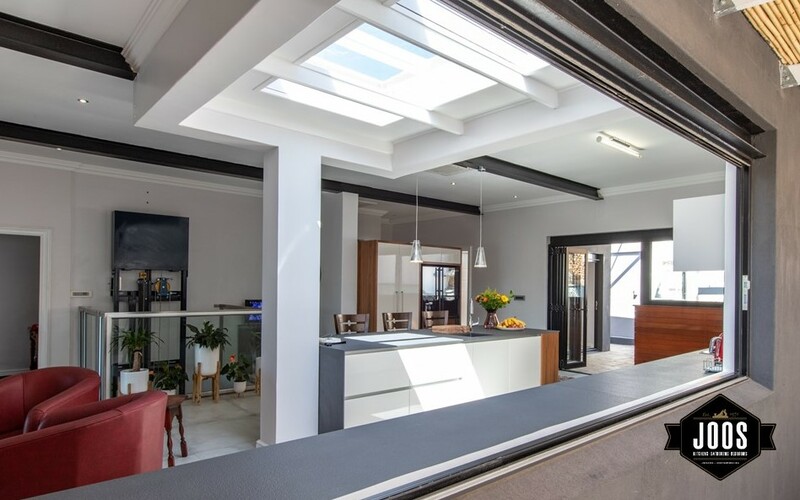 Ranging from 6mm to 30mm this gives designers the opportunity of using it in many different application s from floor tiles and wall cladding to vanity and kitchen counter tops. 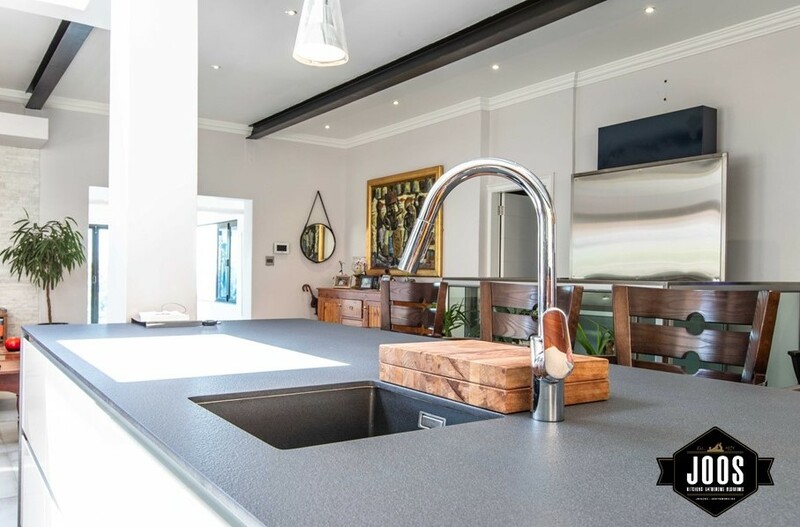 Obviously, the different thicknesses require different support structures and Joos Joiners, along with our accredited fabricators, are well positioned to advise our clients accordingly when using the product for splashbacks and counter tops. The product is extremely hard and product specific machinery is required to cut the slabs to size. It is critical to ensure that measurements are accurate as resizing on site is not an option. 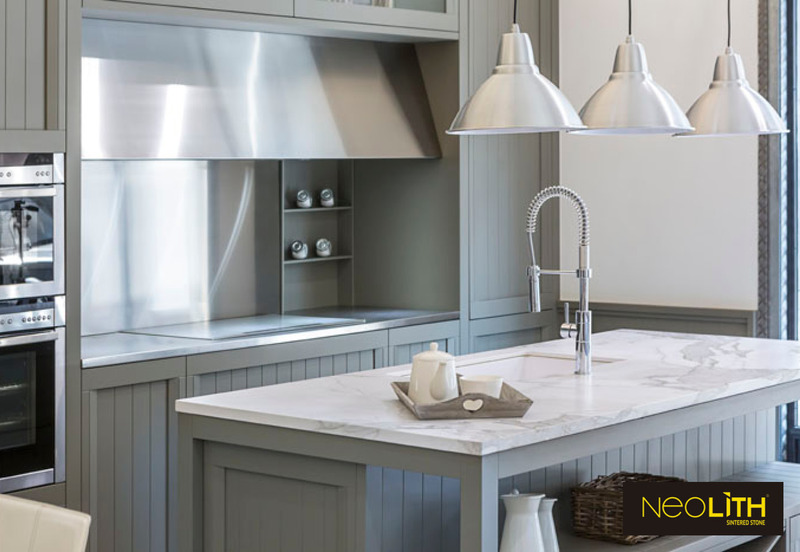 Brand names to look out for in South Africa are Dekton and Neolith. 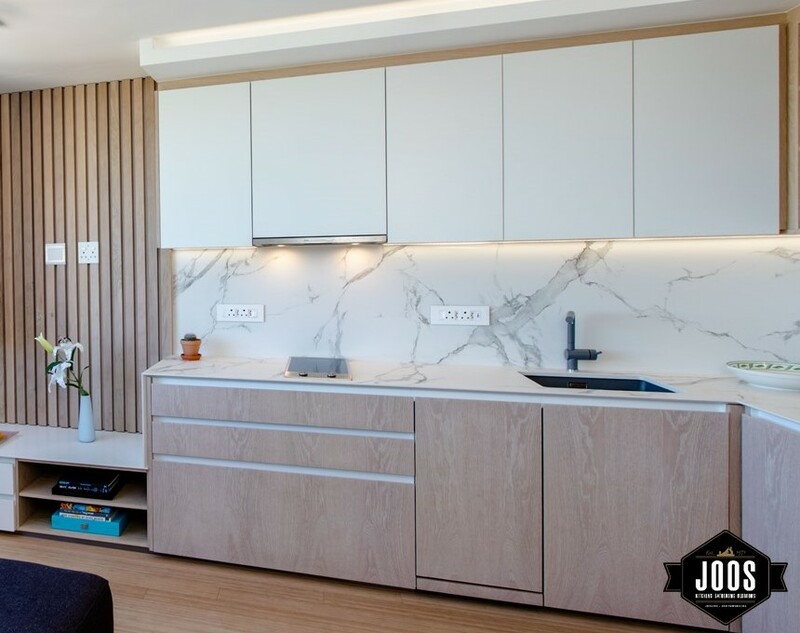 Joos Joiners have a stunning example of the product in our showroom and have already completed projects with this new and innovative product.